Recently I've been hoping around art fairs, touring clients and designers, and blasting pics on Instagram (thanks for the content, New York Art Week!). Since, I went to bed at 8 pm last night, I'm feeling like I can do anything and the first item on my list is writing a blog post on the point of it all. Art fairs are a bunch of galleries, each with their own booths, exhibiting art that's for sale. The booths are all gathered in a given location (like an incredibly expensive tent, or the Park Avenue Armory) for about five days. Visitors come to the fair to browse and buy, and those visitors include professionals in the industry and your average culturally curious urbanite. For the gallery: The point of art fairs is to 1) expose the gallery and inventory of art to a broad audience in a condensed period of time; and 2) sell art and, let's hope, return the $$$$$ investment made to actually participate in the art fair (between booth cost, art transport, and staffing). For the interior designer: The point of art fairs is to 1) see a ton of art in a condensed period of time to consider for current and future projects; 2) increase awareness of the various galleries/resources available for art buying. For the art advisor: The point of the art fairs is to 1) see a ton of art in a condensed period of time to consider for current and future projects; 2) increase awareness of the various galleries/resources for art buying; 3) build relationships with those galleries to get preferential pricing and info on available art; 4) continue building knowledge on art pricing and quality, which is key to successfully advising clients on buying wisely. For the Art Fair: Yes, art fairs are a growing industry in their own right and their purpose in life is to make money. For the average culturally curious urbanite: The point of art fairs is to 1) see what the art fairs are all about; 2) potentially buy art. 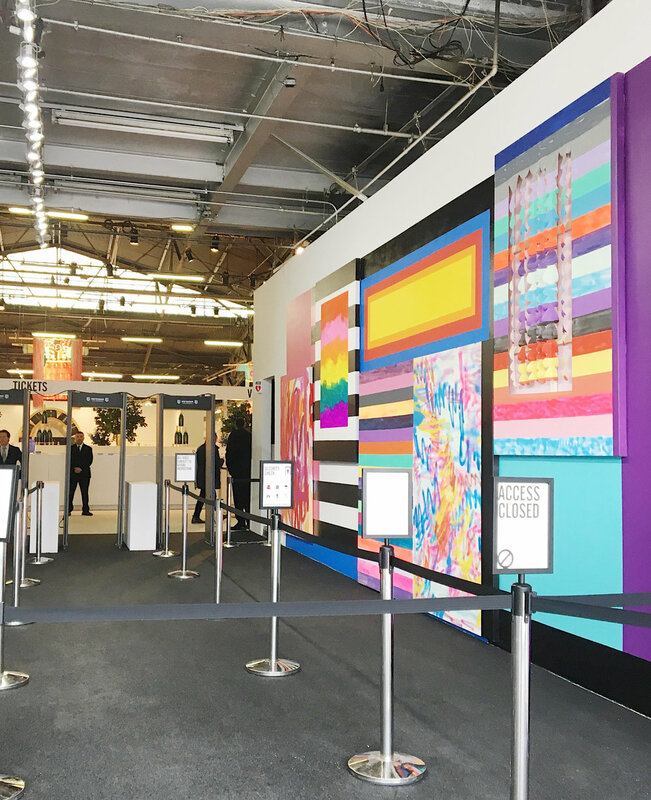 AND PS - art fairs are a great way to entertain the average culturally curious urbanite, so you may want to slip this into your next client entertainment calendar. Buying art or knowing a thing about it is NOT required. Ticket prices are usually $40 and under, depending on the fair. Alcohol and sub-par food is always available. Charge your phone in advance; few fairs have charging stations and you'll want to take pics. Here's a nice calendar of art fairs around the globe. For more tips from me and some other stellar art advisors from around the country, check out this post. So, now I'd like to hear- did you go to the fairs? Do you want to? Which did you like best? Share share share and maybe we will do a future post with specific feedback from each fair (woot woot! ).